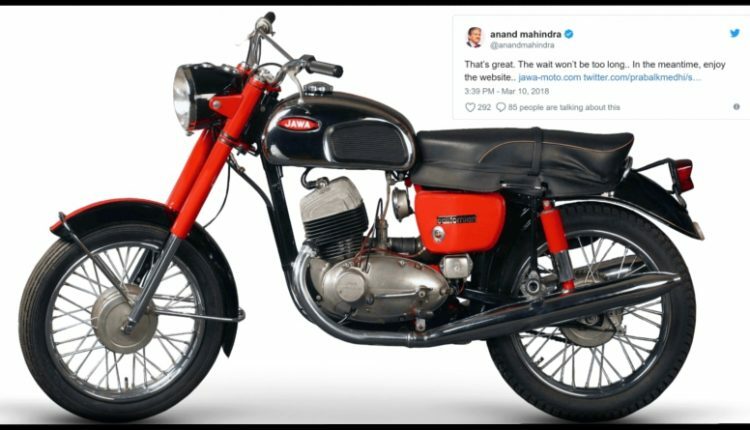 Anand Mahindra has launched the official Jawa website that lists every possible model that they produced till date. The website describes some of them as race winners while others were reliable workhorses that helped owners do every possible tasks for not just few years but decades. Some of them are still surviving and present in their best possible condition in museums around the world. It seems like they are planning to use Jawa’s rich brand history as its advertising tool and doing this would be a great option for a country where Jawa bikes were loved for their compact power houses. Jawa Yezdi was a popular brand name here as buyers who looked for lightweight and fast machines opted for these instead of Royal Enfield. The official website lists motorcycles with a century old design and to be true, they were sold a long time back when competition was limited to internal markets only. 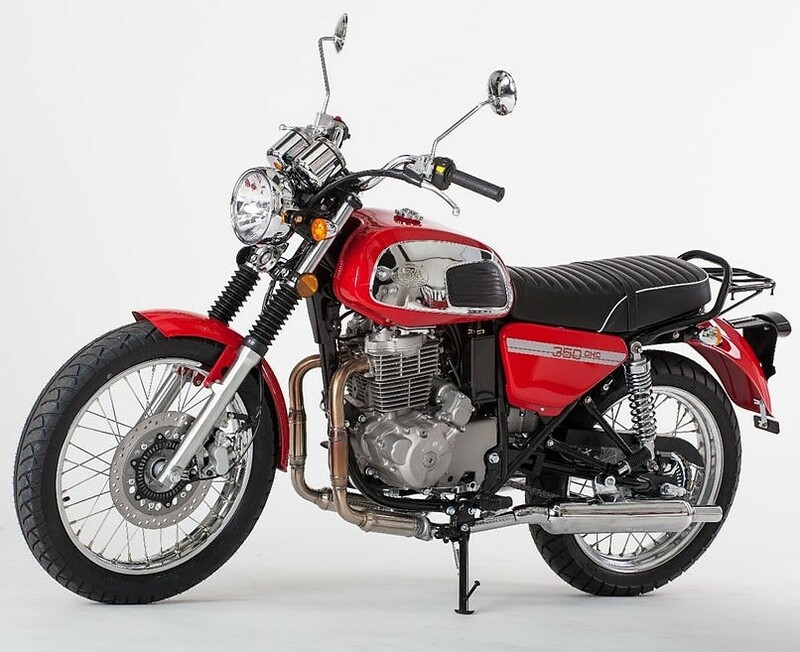 Jawa brand will resurrect soon in India as Mahindra has bought the rights to use this name and manufacture Jawa bikes for various markets. They have even clarified that Jawa will use Mahindra Mojo’s engine to keep cost under check and perform like a superstar. The first model on offer will be a 300cc, single cylinder option with fuel injection and liquid cooling as standard. It will carry the retro modern design appeal of Jawa bikes while high performance engine from Mojo will offer enjoyable ride experience. They can even use the least powerful, carburetor fed engine setup to keep costs under check. 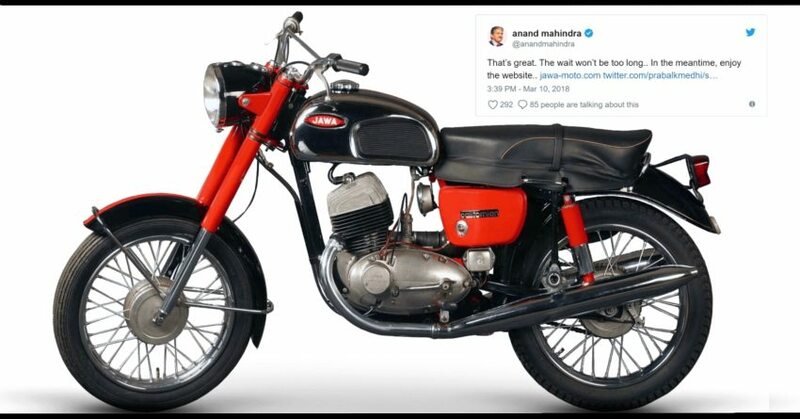 It is yet to be seen if Mahindra will use the iconic Jawa front face with covered suspension or bring 350 OHV style headlight with standard suspension design. They will soon come up with prototypes of the first model and this, design will be partially revealed.